Today was Day #2 of Chocolate and Flower Theme Week. Chocolate is an "alpha" flavor that can bury timid tasting playmates. So, I celebrated Jonathan Grahm's bold but balanced truffles. Timid they are not. 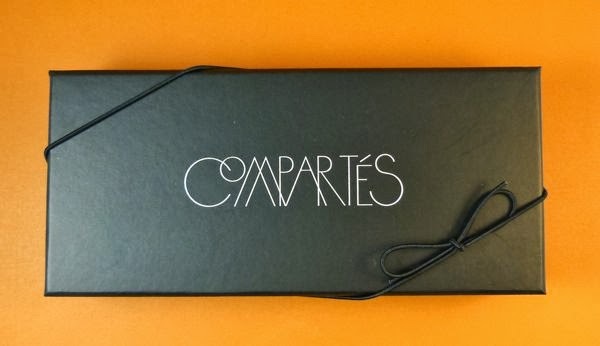 Grahm is the chocolatier behind Compartes Chocolatier (Los Angeles, CA). 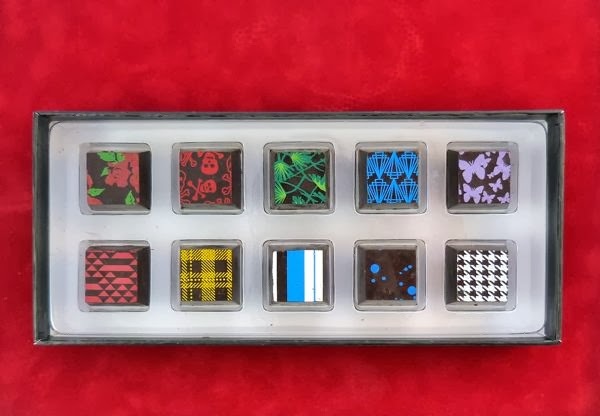 Jonathan's 10-piece Signature Collection is a good introduction to Compartes Chocolatier's bright and beautiful line-up. 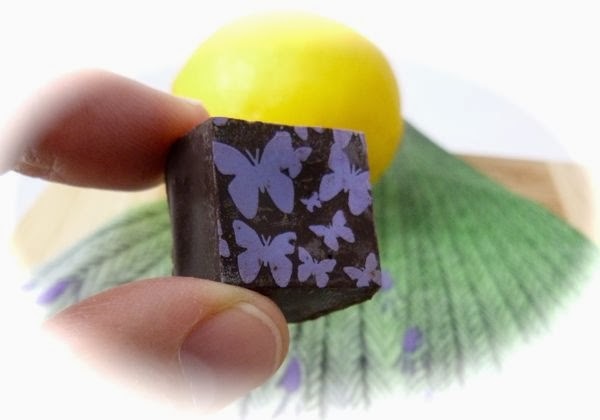 Today's Meyer Lemon Lavender truffle, stenciled across the top with lavender-colored butterflies, had just the natural tasting Meyer lemon + lavender floral punch I wanted. My only quibble: the 10-piece Signature Collection box was a good sampler, but I would have liked the option to pick my own flavors. (Also, understandably, some intriguing flavors are seasonal and/or may not be available year-round.) I do hope to try the Cactus and other truffles in the future. I'm betting an in-person visit to the company's storefront shop in L.A. might allow for some of these options.